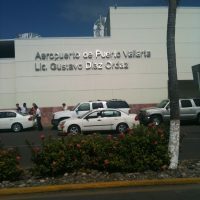 Many more airlines are offering non-stop flights to the popular resort area of Puerto Vallarta in Mexico. These non-stop flights are from Canada and the United States of America. Now vacationers can make their traveling to Puerto Vallarta, Mexico much easier by booking their non-stop flights directly. Puerto Vallarta is one of the most visited resort areas in Mexico, and now you can arrive quicker with the non-stop flights that are being offered by major airlines. Is Driving Safe in Cancun? With all the rumors about how crazy driving in Cancun can be, many tourists deprive themselves of the pleasant adventure they can experience in this amazing region. Most of these negative ideas come from exaggerated accounts. 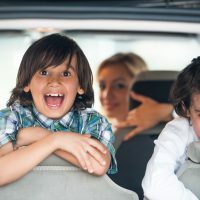 If you are like most of the smart drivers who follow common sense and care while driving, you can make moving about Cancun more enjoyable by renting a car during your vacations. Every bride and groom-to-be makes sure that every detail regarding the big wedding day has been met, but does the bride and groom do the same with their honeymoon? After your wedding day is the time where you two will spend private and alone time, which will be romantic, so you want your honeymoon getaway to be very special. If you choose to have your honeymoon in Mexico, then you will have something wonderful to look forward to once the hectic wedding day has passed, and soon (very soon) you and your loved one will be in paradise enjoying your honeymoon in Mexico.